About Us | Trola Industries, Inc. Founded in 1970, Trola Industries, Inc. provides “Design/Build” automation and control solution services for a variety of end-users, original equipment manufacturers (OEMs), engineering firms, contractors and utilities in an industrial market that includes small manufacturing firms to large Fortune 500 companies. Many of these companies have headquarters in the mid-Atlantic region with manufacturing plants scattered throughout the United States and foreign locations. Our application experience spans from the processing and packaging sides of manufacturing, to power generation and distribution. 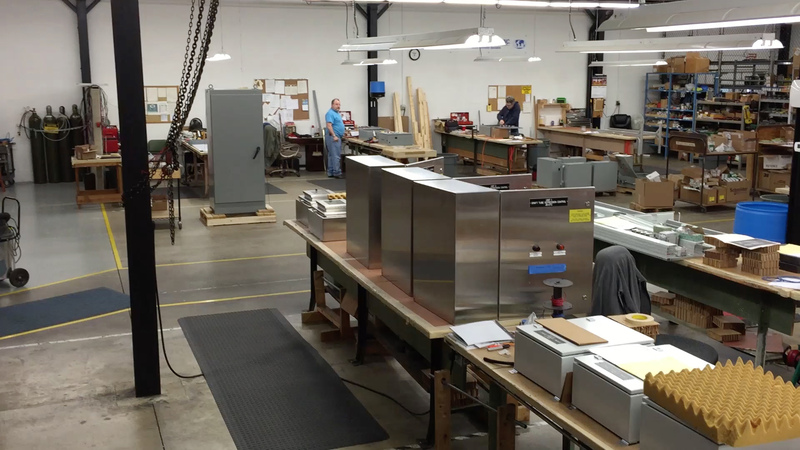 We provide “open control” systems by designing, manufacturing and programming high quality control systems and equipment that use readily available industrial components and software. Our designs and control panels, coupled with excellent documentation, provide you with automation solutions that result in reliable operations and profit. We can provide you with construction management of production line demolition and installation, coordinating the various trades and contractors needed to construct a new line. From concept to completion, we focus on the details necessary for a functional and electrically safe control system by employing a front-end definition of expectations for the system, realistic time-lines and frequent communications to your project team, resulting in projects being completed on time and on budget!